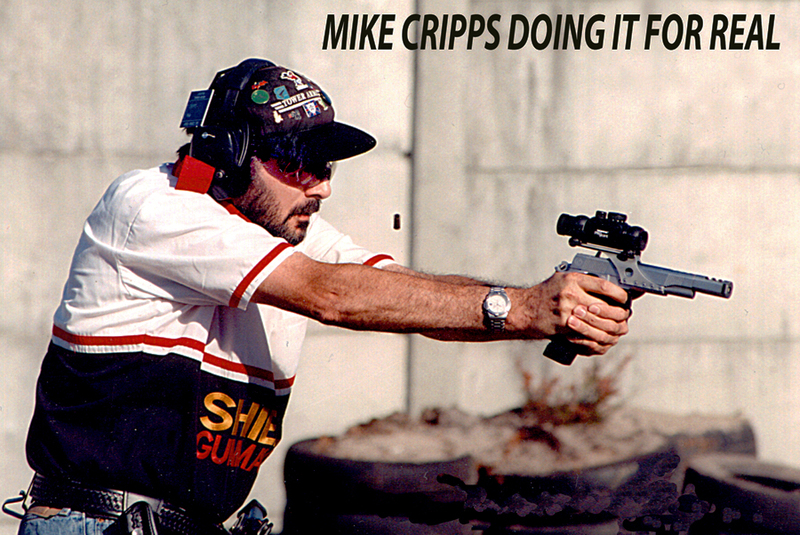 Elite shooting centre is entirely the creation of Mike Cripps. Mike has been shooting pistols for over 30 years and has shot at the highest level all over the world, also being a member of the UK National squad at the world shoot X at Bisley in 1993. He also won the very last UKPSA open competition held in the UK with real pistols in 1997. Since the ban of real pistols in 1997 Mike has tried most forms of practical shooting and soon found that shooting practical pistol with a blow back airsoft pistol is as close as you can get to the real thing. Mike has won the UK Open championship in 2003, 2004, 2006, 2008 and 2009 having came 3rd in 2005 by only 1.5 points. He is also one of only three master grade shooters in the UK as of 2010, and is correct in his belief that this gives him both the knowledge and expertise to advise you about your practical shooting and airsoft pistol needs. Elite Shooting Centre opened in June 2004, based in the centre of Burnley, along with a retail shop, we also had 2 ranges, set up for CQB, and practical pistol (IPSC) we also ran airgun evenings and junior or family nights. At this time ESC stocked everything from pistols, AEG,s, tactical gear, consumables, in fact everything. As time moved on, the emphasis moved to IPSC and pistol shooting, and building custom guns, so in 2008, the shop was closed, and moved to Bury, where from home, Mike run’s the retail side, but with much more attention to custom pistols, and now just concentrates on TM Hi Capa’s. Visitors are still welcome, but please by appointment only. At Elite airsoft we have a simple credo from Mike: " There will be NO INTERNET SALES . I would rather talk to people and give them exactly what they want and need than have them purchase something that they are not 100% happy with"
At Elite the airsoft gas blow back pistol is used, although other varieties are available. This is a replica pistol which simulates the slide of an automatic pistol being thrown back by the recoil of a fired round through the use of gas, the returning action of the slide then chambers the next round allowing the replica to fire once again. Practical pistol shooting is a sport where the winner has the best time versus the highest accuracy of the other competitors. A course can be made up of static, moving and reactive target types which the competitor is required to engage in a set manner. The sport is still run with the highest possible standards of safety, even though we now use imitation firearms, namely gas blowback and Co2 pistols, we still treat this equipment as though it were the real thing. This allows our shooters to be capable of competing and shooting anywhere in the world as they already possess the safety abilities required. This rapidly growing discipline, known when shot with real pistols as Steel Challenge, was introduced several years ago, as a sport for owners and users of multi shot CO2 air pistols, its fast and furious, as a competitor try's to hit 5 steel plates at various distances in the fastest possible time. It does not involve much movement so ideal for the more sedate shooter. Airsoft is a name given to sport that originated in Japan during the late eighties, eventually crossing the waves to our very own England and Europe. The game of airsoft comprises a simulation of actual combat using non lethal low velocity imitation firearms that fire 6mm caliber 'bb' or ball bearing plastic rounds. Airsoft does have a certain similarity to paintball in the manner in which the games are played, enforcing strict safety rules and maintaining realism, here the similarity ends however. The game requires the use of only eye protection for the players safety, some persons also use a full face mask, it is the replica weapons themselves that create the initial realism and also why they are used and sold at elite shooting centre, they are the nearest thing available to simulate the operation and shooting of a real firearm.